It's Body Contouring Season! Some like it Cool, but some like it HOT! It is an impressive new technology that uses a laser to target and destroy fat. Unlike CoolSculpting which uses cold to destroy the fat, SculpSure uses heat instead. CoolSculpting and SculpSure Why both? SculpSure and CoolSculpting each have unique advantages! Because we have both we are able to offer greater body contouring versatility to truly customize treatments based on the unique needs of our clients. We can do one or the other, or combine both treatments for optimal results. SculpSure’s four flat applicators, each about the size of a business card, can be customized into a variety of configurations to accommodate different areas of your body. Thus, this versatile system can target multiple small areas at the same time or be placed together to target one large area. The small applicators and the tapering of the heat allow us to treat areas that might not otherwise be suitable for treatment with CoolSculpting. For a person to be a candidate for Coolsculpting there must be enough fat to draw into and fill up an applicator. With SculpSure this is not a concern, we can treat even extremely lean people with very little fat for spot reduction. Because SculpSure gets rid of less fat with each treatment than CoolSculpting does, we can treat areas where less reduction is preferable. An example of this would be correcting asymmetry. CoolSculpting could cause too much reduction due to incorrectly placed applicators by an inexperienced technician. In such a case SculpSure’s smaller reduction is more predictable and a second round can be done if a greater reduction is required. The goal during a SculpSure treatment is to achieve temperatures as high as possible within patient tolerance. You will be given what is known as a zone chart to help you communicate with your technician how the area is feeling as you progress through repetitive 30-second intervals of heat and cooling. For the first four minutes, as the temperature builds, you will progress from Zone 1 through 3 and feel gentle warming, tingling, short intervals of warmth and pleasant cooling. The goal for the remainder of the treatment is to achieve and maintain Zone 4. During each 30 second interval you will feel prickling, pinching, pressure, longer peaks of moderate to intense heat followed by brief cooling relief. The sensation varies from person to person and has been described as bad menstrual cramps that are also hot at the same time. As the cramping reaches a point where it is barely tolerable, the heat ends and the cooling kicks in. If at any time during the treatment you feel it is not tolerable, you have reached Zone 5. The technician will immediately advance to the cooling cycle and reduce the energy to get you back into Zone 4. The treatment area will feel tender but most people are able to return to their normal daily activities immediately after SculpSure. Some inflammation is normal and this is a good sign that the treatment will be effective because it is the inflammatory response of the body that causes the SculpSure treatment to work. The swelling will usually only last a few days and some areas may feel firm. Lumps known as nodules are common but these will also resolve, usually within a couple of weeks. A twice-daily massage of the treated areas for 5 to 10 minutes will reduce the risk of nodule formation and make them clear up faster if they occur. Remembering to do these self-massages along with staying well hydrated will help the lymphatics gradually clear the fat over the next 12 weeks. SculpSure does not get rid of as much fat as CoolSculpting but, as previously explained, it has a few unique advantages over CoolSculpting when treating certain areas of the body. Two rounds of SculpSure are recommended and the second round can occur as early as 4 weeks after the first, at which point you may be noticing results. Post-treatment photos are taken twelve weeks after the second round. The fat cells that clear will be gone permanently and some people will opt for additional treatments for further contouring benefit. Skinpossible offers or has offered several body contouring treatments over the years including Ultrashape, which was the first non-invasive technology that was proven to permanently destroy fat. We have performed more CoolSculpting treatments than any other clinic in Alberta and we also offer fat injection treatments known as Belkyra. Clearly, we know what we are doing. Why does this matter? The fat will be gone for good. We can’t put it back. Our experience will ensure satisfactory outcomes. Because we have multiple options, you can trust that the information we give you will be completely non-biased. We will recommend the treatment or combination of treatments that will give you the best possible result. We can perform SculpSure, or CoolSculpting, or combine both on the same treatment day. For a factual, non-biased comparison between these two great non-surgical fat reduction treatments, call and schedule your free consultation! We’ll do an assessment of the areas you wish to reduce localized areas of fat and make recommendations on what course of treatment will most effectively accomplish your goals. Cynosure, the manufacturer of SculpSure, has recommended pricing that most other SculpSure providers adhere to. Skinpossible has chosen to make SculpSure more affordable. Our SculpSure prices are approximately half the recommended industry standard. Our Chaparral Valley location is extremely private and easy to get to from anywhere in the city via Macleod, Stoney, and Deerfoot Trails. 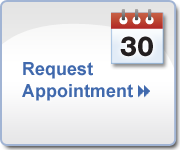 Daytime, evening, and Saturday Appointments are available. Parking is free! The bottom line is that SculpSure and CoolSculpting are both great body contouring options! Each offers unique advantages and because we offer both we are able to provide you with the choices and versatility of a customized treatment plan. We truly are Calgary’s body contouring experts! For more detailed information check out these sources on SculpSure and CoolSculpting Vs SculpSure, or make an appointment for a free consultation!